Susan combines her experience as an artist and a meditator, and her interest in alternative medicine to offer a unique perspective on meditation practice and stress reduction. She is a graduate of The Interdependence Project’s Yearlong Immersion and Instructor Training Program, ICKPK 101, as well as Brown University and the Slade School of Fine Art. She has had a mindfulness practice for over a decade and is a student of Tibetan Buddhism. She currently teaches mindfulness meditation across New York City in the corporate sector. She is deeply interested in the cross-section between meditation and creativity, having seen her own creativity flourish with the help of her practice. Join Susan Stainman and Melissa Kaitlyn Carter every Wednesday evening May 9 - June 6 for EVERYDAY CREATIVITY a five week series combining meditation, restorative yoga, and creative modalities. We'll slow down, and begin to see every gesture as our creative gesture, the world as our playground. For more information and tickets, see here. Mentorship is the opportunity to work one-on-one with Susan to identify your individual needs and goals and formulate a plan to get you there. With meetings that take place both in person, and via Skype, Susan will offer specific meditation instruction, manual (hands on) stress relief therapies, and assignments in every day life to help you move forward in your life. From novice to experienced practitioner, the mentor relationship can help the practitioner expand their meditation practice on and off the cushion. Whether you are a seasoned artist or just interested in exploring your creative side, these one-on-one sessions will help you come to your “senses” and explore your every day life from a new perspective. Mindful sensory exploration and visual arts exercises will help you loosen up and enjoy your creativity. 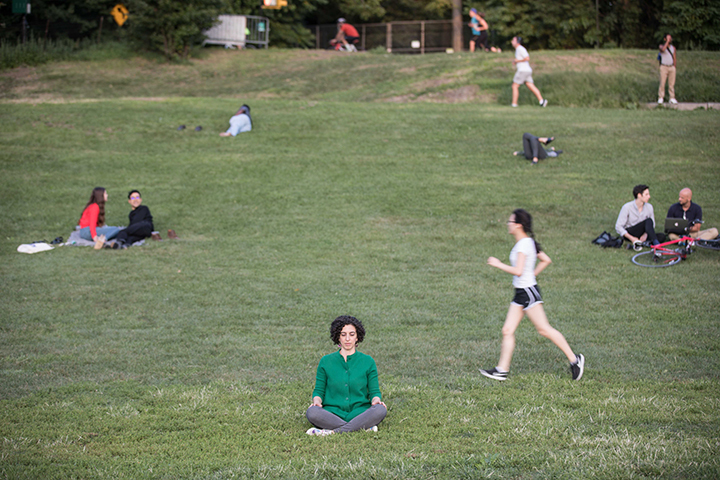 As part of a wellness program, mindfulness can help concentration, clarity, and better connections between colleagues. Susan will tailor a package, with in-person sessions or online, that is right for your individual workplace’s needs. Whether you are already thriving as a team and want to continue to improve connections, or you need help overcoming hurdles, mindfulness at work can be very beneficial.